So, if all of that mass, energy, and light is attracted into a black hole, where does it go? The latest theory is that on the other side of a black hole is a white hole. A white hole is a point, or singularity, from which immense amounts of light, mass, and energy spew. (See here for an explanation.) A singularity spewing massive amounts of light, mass, and energy sounds a lot like the Big Bang from which our universe sprang. 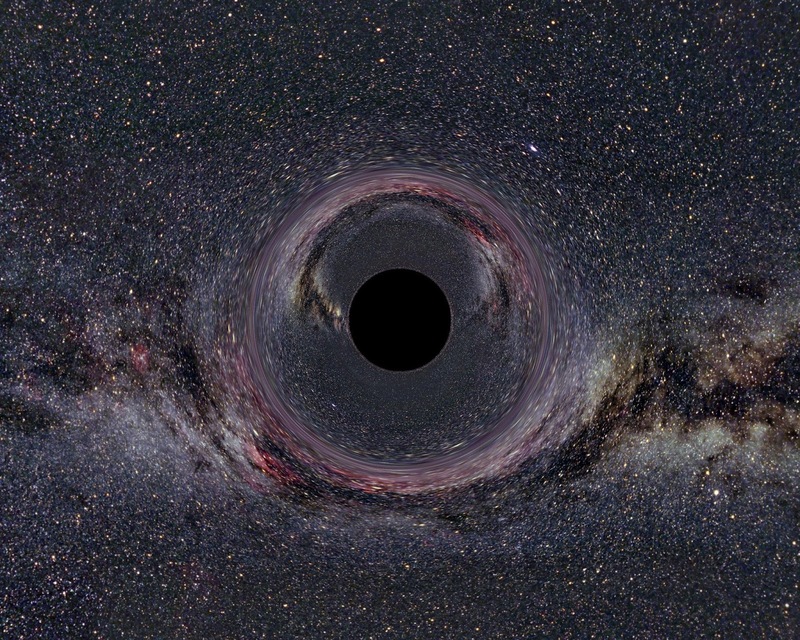 Could it be that our entire universe is simply the other side of a very large black hole? That is what one of the latest theories suggests. In fact, it may be that on the other side of every black hole another universe exists that owes its beginning to a black hole, a white hole, and a Big Bang (see here for more). I know, if you think about such things for too long it will either give you a headache or drive you insane trying to understand it all. Or, it could simply drive you to the point of believing that, behind it all, there must be a Creator God. As Sir Arthur Eddington once said, “Not only is the universe stranger than we imagine, it is stranger than we can imagine.” It is as if God were showing how mighty he is when he built this universe (and perhaps a few more universes) or maybe he was just being incredibly creative. The more we learn about our known universe, the more we realize that it is ultimately incomprehensible to our limited minds. The greatest minds in science are continually stumped by the complexities. The immense scale makes it incredibly difficult to even observe black holes and other interesting objects. If we could get close and experiment with a black hole, perhaps we could learn more; but the closest one to us is the one at the center of our own Milky Way Galaxy, approximately 25,000 light years away. Could it be that God made ultimate reality frustratingly out of our reach? Did he purposely make it so difficult to understand that the universe will always contain a great measure of mystery? Might it be that we truly need to live by faith and not by sight? There are many great definitions of leadership, but one of my favourites is this simple one by the little known Arnold H. Glasow. “A good leader takes a little more than his share of the blame, a little less than his share of the credit.” Leadership must certainly be measured by degrees of humility. The woman or man who does not recognize the contributions of followers or does not recognize that their own success was built upon the foundations of others before them, is no leader. 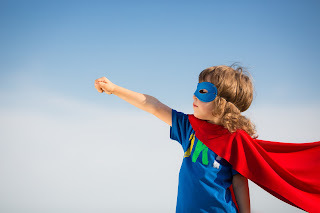 Leadership is experimentation, taking chances, using best guesses, following hunches, and trusting in higher powers. How can one revel in oneself when a particular hunch pays off? Great leaders practise great gratitude. We have all known those who profess to be leaders while seeking to find a place to lay the blame. 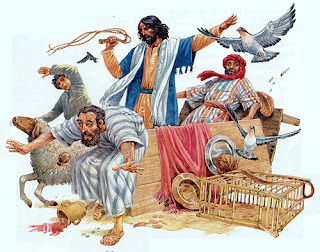 They are all too willing to point at their staff or their superiors, “throwing them under the bus.” Leaders will seek to make others successful and will redirect fault: they will either recognize fault with a “buck stops with me” mentality or seek to learn from the problem and move on without pointing at anyone. Certainly, it is okay to take a share of the credit, but it is a whole team that moves an organization forward. When there is significant recognition, the pseudo-leader is like a “black hole” of credit, allowing nothing to escape absorption, whereas the accolades will quickly reflect off a true leader’s convex surface to shine back on others. “For the Lord your God is a consuming fire, a jealous God.” Deuteronomy 4:24. “I am jealous for you with a godly jealousy. I promised you to one husband, to Christ, so that I might present you as a pure virgin to him.” 2 Corinthians 11:2. Frequently, my attitude needs adjustment. The odd thing is that my own blog can be the catalyst for such “attitudinal correction.” Recently, looking for a quote by Annie Dillard, I came upon my thoughts as expressed on July 10 of 2011 (read them here). There, once again, Annie Dillard’s reflections about church caused me to shake my head and ask good questions about my perspectives. The following words inspired me to better thoughts regarding people and greater thoughts about God. Lord, save me from myself. Annie Dillard, Teaching a Stone to Talk: Expeditions and Encounters (New York: HarperPerennial, 1982), p. 52. Andrew Stanton, one of the directors at Pixar, is quoted in Ed Catmull’s book, Creativity Inc. Stanton has written and directed Finding Nemo and Wall-E (among many others) and knows the incredible amount of work that goes into assembling a team and then creating an animated movie. He has this to say about life’s difficulties. 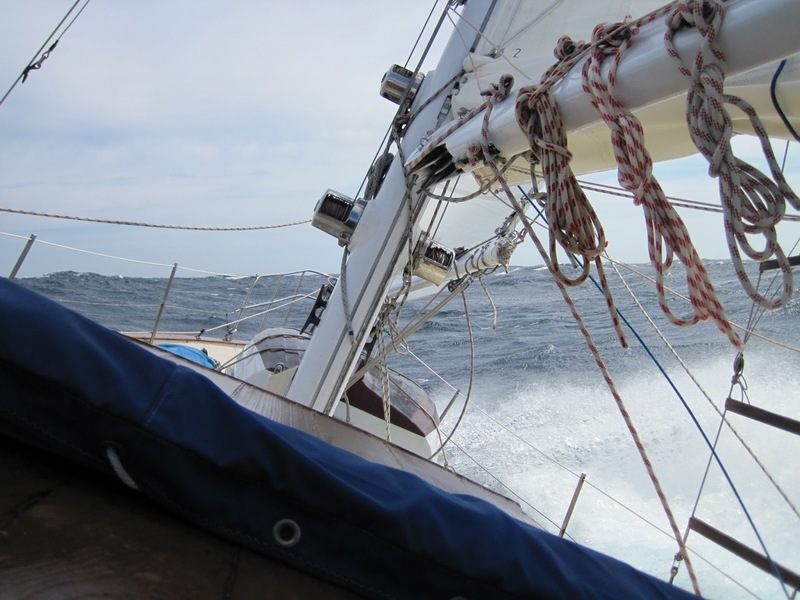 “If you’re sailing across the ocean and your goal is to avoid weather and waves, then why the hell are you sailing?” he says. “You have to embrace that sailing means that you can’t control the elements and that there will be good days and bad days and that, whatever comes, you will deal with it because your goal is to eventually get to the other side. You will not be able to control exactly how you get across. That’s the game you’ve decided to be in. If your goal is to make it easier and simpler, then don’t get in the boat. Why is it that I seem to seek an easy life rather than a significant life? Why do I find myself in a sailboat wondering why I am experiencing all of this weather? I should be grabbing the rigging and setting the sails to take advantage of the wind. I should be delighted that the wind and the waves are driving me on. Yet, most of the time, that is not my first reaction. I want smooth seas and gentle breezes. I want to meander down the river rather than brave the ocean waves. There are many elements in life I cannot control: the world price of crude oil; the value of the stock-market in New York, Toronto, or Beijing; the risk of cancer in the general population; or political corruption in Alberta, Ottawa, Washington, or Greece. These are the rough seas and winds of life. They happen with or without my consent. My confidence cannot be in the investments I own, or in the people who guide the country in which I live. I will put my confidence in the Maker of the wind and the sea. I will trust the One who knows the beginning, middle, and end of the story. I will trust that the One who made the wind and the waves will deliver me safely to the other shore. I will set my sails to catch the wind He sends upon my boat. Catmull, Ed. Creativity, Inc.: Overcoming the Unseen Forces that Stand in the Way of True Inspiration. Kindle. Toronto: Random House of Canada Limited, 2014; Location 3469. I know that it is not easy to find the time to read nearly 300 pages of intricate prose in The Hobbit and over 1200 pages in The Lord of The Rings; yet, I do hope that people will continue to read these two books. For all of the hours of amazing film footage found in the 6 movies, there is still much that cannot be covered and much descriptive language that cannot possibly be brought to life in a movie of this nature. Many years ago I introduced the Hobbit to my daughters as bedtime stories; and with them I relived the wonder as they pictured this world in their minds. We read many other books together including The Chronicles of Narnia (C.S. Lewis). Recently, a friend told me that he was reading The Hobbit to his daughter and I felt a sense of nostalgia at this simple joy. Reading aloud to another person is an experience in itself and allows both people to enjoy the book at another level. I suspect that my daughters still remember the voices of various characters and the tunes we made up for the songs and chants. Tolkien’s prose is some of the most poetic and evocative in the English language and speaks to deeper realities than the simple world of hobbits, dwarves, trolls, and elves. Lately, my wife, Maureen, and I have been reading The Hobbit aloud to each other. Tolkien continues to speak to us of simple pleasures, profound fears, and great joys. Last night, as we were ending our day with the author's description of “The Last Homely House” in Rivendell, these words describing Elrond’s house captured our attention. We had to go back and read them multiple times. Movies are able to impress our minds with a glorious picture of a location and may even make us want to go and experience “The Last Homely House.” But as Maureen and I read those two sentences, we were aware that these sentences meant more. They made us want to make our own home a place that was perfect for food, sleep, work, story-telling, singing, sitting and thinking, and a pleasant mixture of them all. We desired to create a place where “evil things” do not enter. I think this may also be true of movies. The “days that are good to spend are soon told about” and painted in the scenery of the movie. The battles, that are “uncomfortable, palpitating, and even gruesome, may make a good tale” and fill the content of many a scene in the movie. I wonder, when we think of the movies, do we think of the scenes in Rivendell, or the scenes on the battle-field? What does one remember from reading the books? C.S. Lewis, a man who made a living reading, writing, and giving lectures, had this to say about his emotions when it came to tea and books. “You can never get a cup of tea large enough or a book long enough to suit me.” Perhaps we would do well to recover this feeling. On this rainy day in Calgary, I think I will go and put on the kettle! The Hobbit, Or There and Back Again; John Ronald Reuel Tolkien; Random House, New York, 1982 Revised Edition; p. 51. 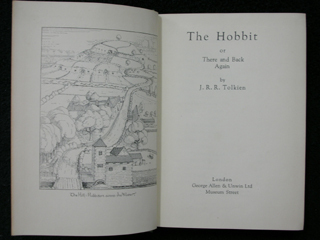 The Hobbit, Or There and Back Again; John Ronald Reuel Tolkien; Random House, New York, 1982 Revised Edition; p. 50. This quote from Jeremiah, an Old Testament prophet, is a challenge statement. He called out the people of Judah and forced them to face their circumstances. God was calling them to be leaders among all the people of the earth. He wanted them to run races against horses; but they were struggling to run against mere men. God wanted them to blaze a trail through the bush; but they had stumbled and fallen in the open fields. The people of Judah wanted the benefits of being the people of God; but they did not want to face up to the leadership challenges of being trailblazers, pioneers, and ones who set records for great leadership. God had spoken to Abraham long before this and had said to him that his descendants would be a great people. They would be God’s special people and they would be greatly blessed by the God who created the universe (Genesis 12:1-3). God told them that they were to be a people after God’s own heart (1Samuel 13:14). Then as God blessed them, they were to be a blessing to the people of the earth (Genesis 12:3). He told them he would send them a Messiah, a Saviour, a Christ, to empower God’s people and rescue them from their enemies. He made it clear that just as God was sending a Messiah to save them, the Messiah would send the people into the world to continue the mission of God and bless all the people of the earth and not just Judah (John 20:20-23). Today we stand at the nexus point that describes the intersection of these statements. God has blessed, God has sent and been sent, God has rescued, God has pioneered, and God has set the course. 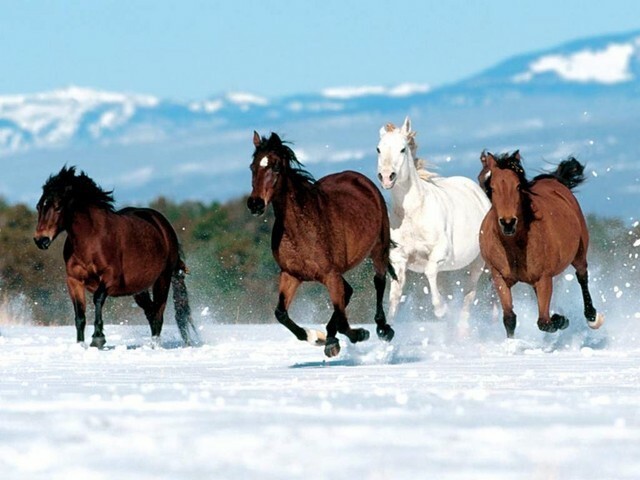 He now calls on his people everywhere to bless others, to be sent and to send, to rescue, to pioneer, and to run the course marked out for horses. We are not to settle for running with men. We are not to wish for smooth fields and clear paths. Life is hard; it requires some bush-whacking. We must run the race set out before us and look for new goals to achieve. Eugene Peterson, a man who was not afraid to set high standards for himself, has this to say about the people who have inherited the blessing. Yes, granted, it is easier to go along with the conformists and the lazy. No one will notice if you stay in the middle of the herd. You can be a spectator all of your life and still have the blessings of this world. It is easier; but not more significant. So what do we want? A life of ease or a life of significance? Will we settle for running in the middle, or even toward the front, of the apathetic crowd; or, will we run with the horses? Run with the Horses: The Quest for Life at Its Best, By Eugene H. Peterson, Page 11. The European Space Agency has had no new news on the Philae Lander since July 20th. It seems safe to say that we should bid Philae a fond farewell. The Rosetta mission to Comet 67P/Churyumov-Gerasimenko has accomplished many of its aims; but, the lander achieved only a small portion of its goals due to a bouncy landing on the comet. The comet has very weak gravity and so it was difficult, to say the least, to achieve a landing. The landing could be compared to dropping a Wham O Superball off of a skyscraper and predicting where it would land. Philae was able to send back 57 hours of data and photos from three locations on the comet as it bounced, rocked, and rolled its way to an unstable resting place and then “collected its thoughts” regarding its unexpected position. ESA had expected that they would have much more time to collect data sent from Philae. The “little lander that could” was supposed to rest comfortably in a place where the sun would shine on its solar panels and provide it with plenty of power. But a troublesome cliff that blocked the activity of the solar cells proved too difficult to overcome. 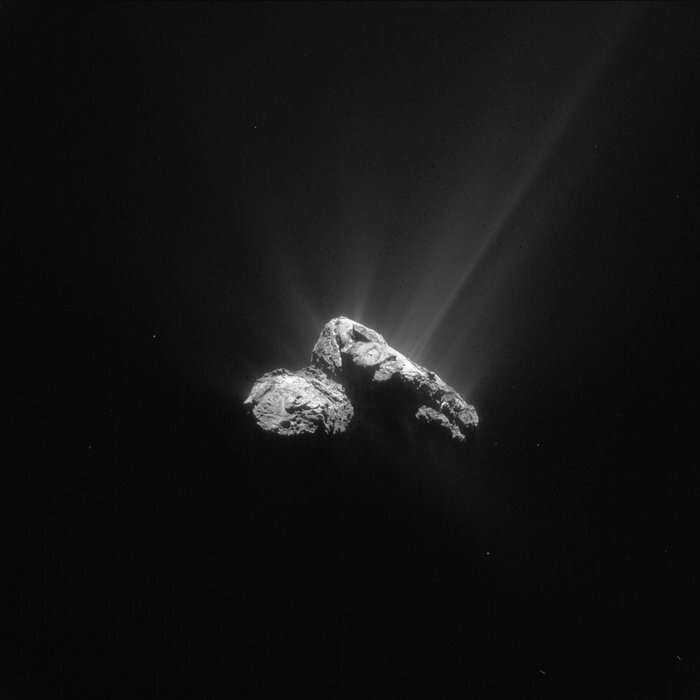 Meanwhile, Rosetta, the Comet orbiter and companion vehicle to Philae has sent back a wealth of data and photos. (See the links here and here as well.) Rosetta is relaying information that shows how a comet responds to solar winds as it gets closer to our sun. Rosetta, along with Philae, has also shown that the comet itself is not magnetised, answering one of the great questions about comets and their activity. The European Space Agency has truly sparked our collective imagination regarding comets in our solar system. They have faithfully exhibited the pioneering and exploratory spirit that shows humanity at its best. 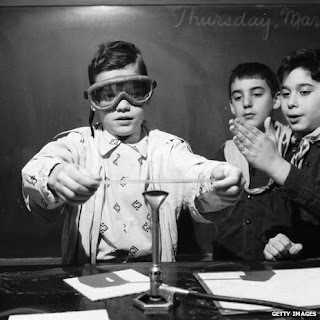 We thank them for their work and their expansion of our knowledge regarding science and the dynamics of comets. CBC news online featured a video of Madame Tussaud’s Wax Museum, New York, presenting a new statue to the public. I am sure it is quite an honour to have a wax figure made in your likeness but it does bring to mind a number of questions. How do they decide who to immortalize? What do they do when they run out of room for current statues? Where do they put the ones they no longer want to display? How long does fame last at Madame Tussaud’s? 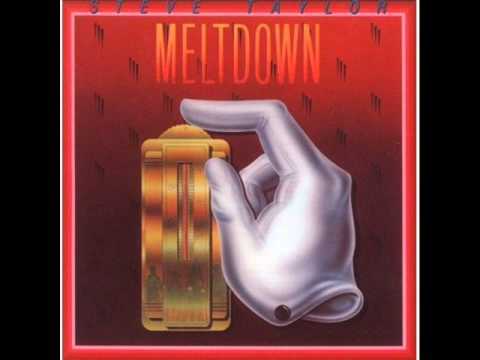 Of course, Steve Taylor, had the quintessential song that makes all of the questions irrelevant and causes us to consider concepts of fame, infamy, the fleeting nature of celebrity, and genuine significance. Read through the following lyrics and see if you can even recognize the names of 1984 celebrities. How many of these would still have significance in our current culture?